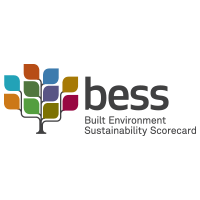 The Built Environment Sustainability Scorecard (BESS) assesses Energy and Water Efficiency, Thermal Comfort, and overall Environmental Sustainability performance of new buildings and alterations in the State of Victoria. Accelerate is now able to provide BESS Assessments services. These assessments assist builders and developers by demonstrating that they meet requirements of the Sustainable Design Assessment in the Planning Process (SDAPP). For any Questions or a FREE Quote to complete a BESS Assessment, please Contact Us.